Nithu's Kitchen : Tell us about you Beena. Beena : I am from kerala,kannur.I went to U.A.E after my 8 years and studied there till +2. After that I did my draughtsman in civil in Kerala. I got married 6 years back and we stay in U.A.E.. I work as draughtsman here. I have two brothers. Both are here in U.A.E with their families. I'm the youngest of all. My amma and pappa settled in kannur. My inlaws are very nice people. I've two brothers-in-law. Beena : My other interest apart from cooking are blogging, gardening, travelling, sleeping, watching movies especially the latest release of malayalam movie. We spend our weekends like this. Nithu's Kitchen : When you started to cook? Who taught you cooking? Beena : I started my cooking when I was about 8 years. My mom was suffering from severe migraine. Every month 2 or 3 days she would badly suffer from migraine. She can't even take any food, she cant even wake up from bed...Full time vomiting etc..So when we reached u.a.e there was no one to take care of us..My pappa cannot take too much leave from his work. That was the time, I started to try cooking. I would ask my mom about each and every ingredients. So my mom was my first teacher for cooking and my second teacher was my neighbour aunt Anitha. She was a great expert in cooking. Now she settled in kerala,thrissur. Nithu's Kitchen : Other than you, whom you consider as the best cook in your family? Beena : In my home all are very nice cooks. My pappa, brothers and sisters-in-law are much interested in cooking. Even my small Nephews watch cookery shows in Television. Nithu's Kitchen : Wow! That is very interesting to hear that your whole family loves cooking. Beena, share us an interesting incident that happened before your wedding? Beena : I got almost 24 marriage proposals (people from kerala will understand why this much marriage proposals. We hindus have many procedures like jadhakkam).So the 24th was my sweet hubby's. For the earlier 23 people, I served a cup of tea. He,he,he ...But for my hubby I could not give.Guess, why? When he came to see me I was in my college.So my brother brought them directly to my college. Meanwhile my college hours was over. 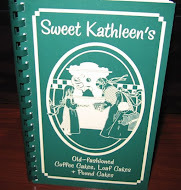 So our first meeting was on the road in front of a bakery (sheen bakery). When we go for vacation to Kerala and we get to pass that bakery, Our eyes never fail to meet and we never fail to give a smile :). Nithu's Kitchen : That is really interesting :-)What was the unforgettable incident that happened after your wedding? 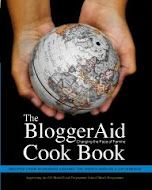 Beena : Actually, my mother-in-law had a thought that I would not know any cooking as I was brought up in U.A.E. On the second day of our wedding, she was talking with my Grandma. On hearing her worry, my grandma said that I started to cook from 8 and she didn't have to worry about that. Mother-in-law felt very happy and relieved. Nithu's Kitchen : We could guess your MIL's face with a relieved smile spread over:-).You said you love travelling. Do you have any interesting anecdote to share with us? Beena : Yeah, we had one unforgettable experience. After marriage we planned our first trip to Kerala. My hubby asked his friend to book the tickets. His friend handed over the tickets and said the date and flight hour was 2 o'clock. We fools(!!!) did not even check the tickets. Finally the day came and while on our way to airport my hubby called his friend. The surprised friend asked why we didn't go to Kerala.My hubby said that we were on the way. His friend said that our flight would have already reached Kerala as it left by 2 am itself.The actual time of our flight was 2am but we thought 2pm...he he he he... On the same day we went to kerala by another flight. That was a greatest lesson we learnt from our carelessness. 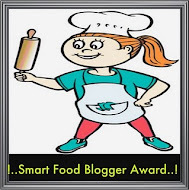 Nithu's Kitchen : Heard you won few prizes related to food. Share the experience with us. Beena : Yeah, so far I've won 2 prizes based on food. one day I went to lulu hypermarket for shopping. As that was a Mango season, they held a game related to peeling Mangoes. Many ladies participated in the game. Most of them peeled 3 or 4 mangoes in a minute. But I peeled only one without wasting any flesh. I won the prize for nicely peeling the mango. Another prize, I got 2 years back. We went for dubai shopping festival. Accidently we met the asianet channel people.They asked me whether I could explain the preparation of chicken briyani in one minute in Malayalam. They said that I should not use any english words inbetween. I took the challenge and won the prize. Nithu's Kitchen : Congrats on your prizes Beena. What do you have today to share? Beena : In this occasion the best recipe will be "Vegetable Roll". I learnt this from my Mom who actually got the recipe from our neighbour. I used to prepare this snack even when I was very young. We can fill any filling inside like veg or non veg. 1. Prepare dough by mixing maida, salt and Oil by adding the required quantity of water. 2. Heat little quantity of oil in a pan and add all the vegetables. 3. Add some salt and turmeric powder. Close the lid and cook until all the vegetables are cooked properly. 4. Now, add the garam masala and simmer for 5-10 minutes. Let it cool. 5. Make the dough into small balls and roll them into round thin layer. 6. In each layer place a little veg mix. Fold like a envelope and seal the edges with a little water. 7. Heat oil in a tawa. 8. Drop 2 rolls at a time and fry them until golden brown. 9. Serve the rolls with Tomato Sauce. 1. You can use Non-Veg filling also. 2. You can use ghee instead of oil for deep frying. Nithu's Kitchen : Thank you so much Beena. 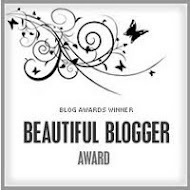 Friends, hope you all enjoyed reading about Beena and her Vegetable roll recipe. 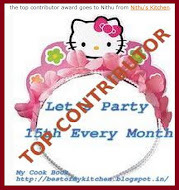 If you are interested to be featured as Nithu's Kitchen's Guest, please do drop a mail to nithuskitchen@gmail.com. Good one Nithu & Beena.. The vegetable roll looks delicious..
Nithu,A wonderful post indeed.Nice to know you Beena and congratulations on your wins.Delicious vegetable rolls. Good to know about Beena...Rolls looks gorgeous !!! Great to know about Beena, crispy rolls makes me hungry..
Nice to know more about Beena and her interests,Veggie rolls looks yummy..
Lovely to know more abt our dear friend Beena. Veg roll looks so delicious..
That was a nice one,enjoyed the interview. 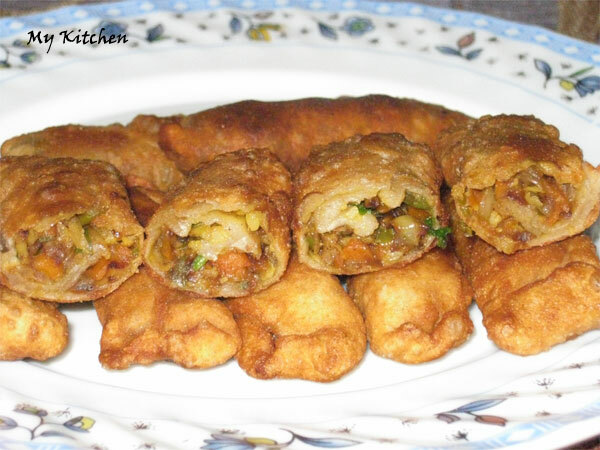 veg rolls looks very delicious. Good to know about Beena, Nice post as usual nithu. Crispy veggie rolls too. 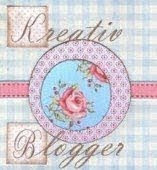 Nice post and initiative to introduce fellow bloggers.. Very nice to know and what a delicious looking roll!